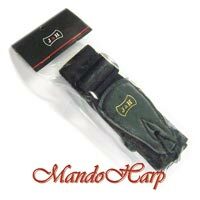 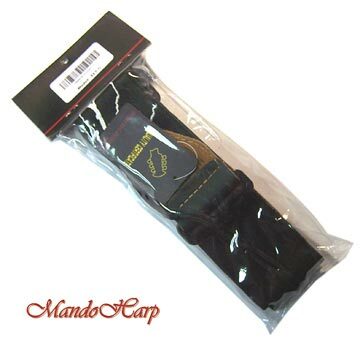 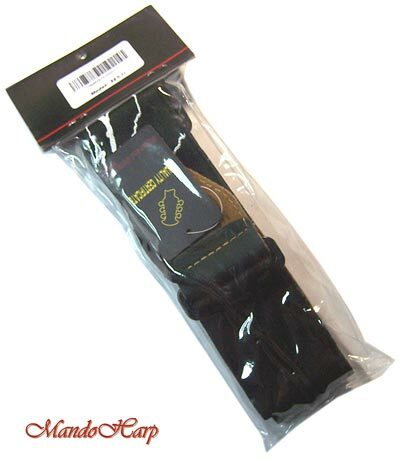 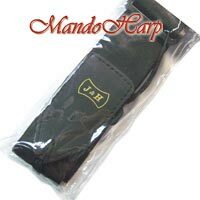 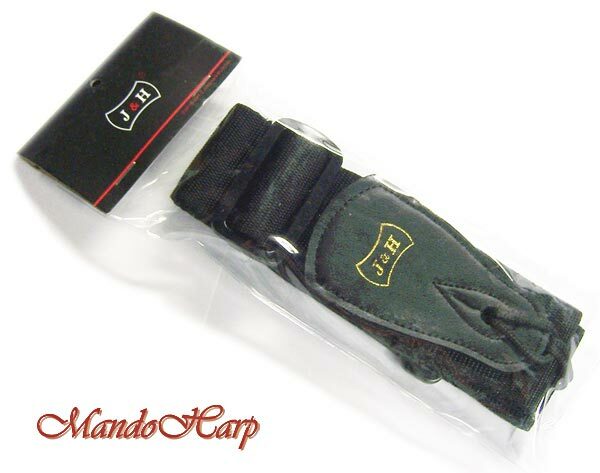 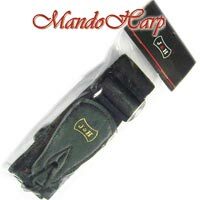 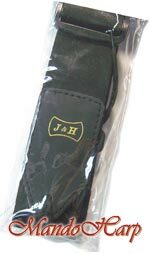 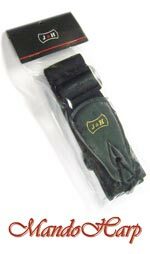 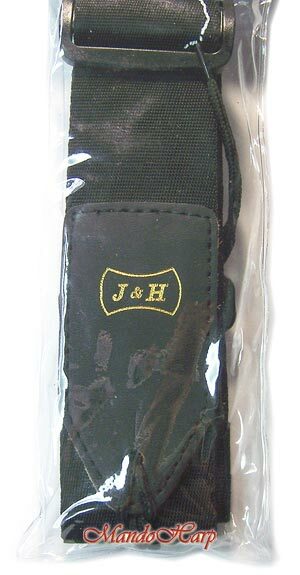 Quality 2" (50mm) wide instrument strap from J & H in black. 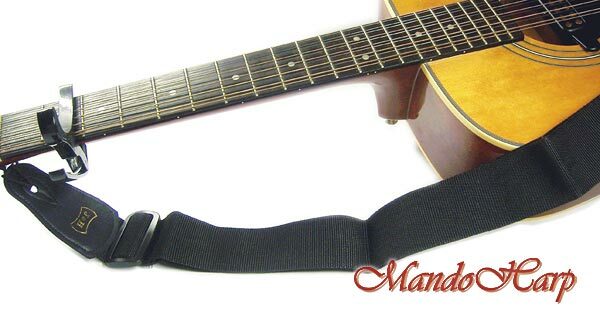 Leather attachment ends with shoelace ties at top end to fit either end pins/belt buttons or on headstock. 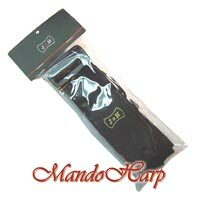 Easy to use and solidly made black adjuster allows quick and easy length adjustment to suit instruments and musicians both large and small.